>Up the spiral staircase, above ABC Store, and across from Ocean’s Bar on the Paseo de Marianas, you’ll discover a unique new business with a uniquely inspired visionary at the helm. His name is Chang, Yoon Suk, a Korean-born, Saipan-raised entrepreneur, and his mission is to bring a new level of modern design, increased property value and real estate prosperity to homeowners in the CNMI. During a revealing interview, Chang and I spoke about his “colorful” childhood in the CNMI school system, his eclectic work experience in Korea, his time as a starving student at the University of Guam, the recent passing of his mother and the profound effect that has had on him, the reasons for Korea’s rise as a leader in construction, his passion for creativity, and the culmination of his private and long-held dream. Walt: When did you come to Saipan? Chang: My mother and father came here in 1988, along with me…all of us except my older sister, who is in Korea. Walt: Where did you go to school? Chang: Well, I went to several schools here on Saipan [his smile reveals there’s more to that story], but I graduated from Grace Christian Academy. After Grace Christian, I worked at Tasi Tours for two years and a half, and I took some classes at NMC after work. I then decided to continue my education, so I went to Guam and attended the University of Guam. I stayed on Guam for four years and a half, and majored in Business Management. Walt: And your work experience? Chang: After UOG, I went to Korea and worked for an amusement park—Lotte World Amusement Park and Seoul Land Amusement Park from 1999 to 2001. I was hired to create the molds for the oversized costumes for the different characters. [Like the SaiPanda full body costume] Then I worked for an interior design company for a year. Then a construction company for another year, where I worked on a resort project. Then I returned to Saipan in 2004, and helped my mom in her property management business. After my mom passed away, I was depressed for a while. I started to think about how I could take care of my mom’s property, continue her hard work and build something for myself. Walt: Tell me about your business background. Chang: After I lost my mom, and started taking care of the property, I realized that everybody was having trouble with their plumbing like we were, and realized that a plumbing business was a good business to be in. So, in 2007, I started a plumbing company. I visited many houses, learned about the sewer system, plumbing, electricity, and I saw directly what was missing, and what was needed here on Saipan. But I wanted to learn more, to see what kinds of things Americans and locals liked in their homes. I wanted to check all the houses outside and inside. So I started working for a real estate company at the same time. Chang: From what I saw in the homes on Saipan, we need more than just construction and repair. We need someone here doing and teaching real estate and renovation. 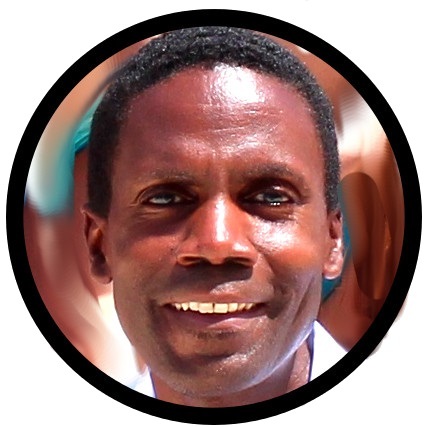 That’s the best way for the average person to help be a part of the economic development of the island. Homeowners here on Saipan depend on the construction knowledge of the contractors here on the island. But those contractors are not bringing in new techniques and new materials from the outside. They are not thinking about real estate values, and economic development. The hotels do, but the average homeowners usually can’t afford to. Yes, there are some beautiful houses on Saipan, but the average homeowner, they never think about those things. I wanted to bring a more modern style to Saipan—new skills, new designs, new materials. In Korea, they are making amazing new products and exporting it all over the world—to the Middle East, the States, Japan and Europe. To improve my skill, I watched the home improvement shows on television. HGTV [Home and Garden Television], that was a big influence, a really awesome channel. You invest in your house and property, raise the property value, and then “flip” your home (sell it for more than you paid and invested), or charge higher rent. It’s a simple formula, but very powerful. Walt: I agree. 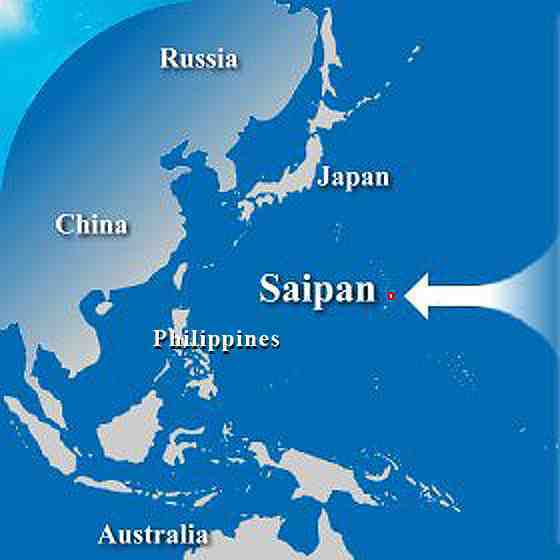 I’m getting inquiries from people who are moving to Saipan for retirement, or new job assignments. There’s a new opportunity for people with well-kept homes to lease or rent. Chang: Yes, a lot of local people are leaving, looking for higher wages in other places, and just close their homes. They think their property is not important for now. But, if they knew more about real estate and how to improve the property without spending a lot of money, it could really benefit them even while they are away. You invest $3,000 in your house, you raise the value by $7,000. Walt: So what does “D System” offer? 1. I do construction, interior design and landscaping. Furthermore, they can get real estate information from me too. 2. I offer new materials and ideas that are popular in many other countries. 3. [After much coaxing on my part, Chang reveals:] I am an amazing talent for design! My ideas are different. I take the exterior concept and bring them inside. I use recyclables for interiors. I’m interested in other cultures, and incorporate what Americans like, what Europeans like, what Asians like, everybody. I know how to use the materials to get the most effect. From his office and design area on an indoor deck overlooking his “Pagan Garden” with rocks from the island of Pagan [(see photo] Chang shows me wall coverings that simulate expensive wood and brick interiors, acetate film that tints or turns windows into one way glass (use as a unique shower curtain! You can see out, but they can’t see in! ), decks, interior gardens, all using the latest, fire resistant, humidity-safe, eco-friendly materials from Korea. Walt: You’ve started businesses by recognizing needs and filling them. But, what’s your passion? Chang: What I do here is very complex. I do the design, handle the documentation for permits. It’s also hard physical work—working in the sun all the time. I never get to wear good shirts and good shoes. I look like a construction worker all the time! But, after I finish the house, and people like my work, I never regret the amount of effort I put into this. After interviewing Chang for two hours, I still wasn’t satisfied that I had truly captured the essence of what was actually transpiring in his heart and mind, and through his business, but we ended the interview. Photographers will often tell you that they get their best photos of people when those people believe the photo shoot is over and the camera is off. Similarly, it was after the interview ended, and my laptop was closed, while “shooting the breeze,” that the truly magical insights started surfacing. Chang recounts a funny tale about cooking and serving Korean food for his American, Hawaiian and Japanese roommates after a typhoon, while on Guam, watching them eat his traditional food in non-traditional ways, and how it inspired him to learn pottery-making so he could create unique containers for different cultural dining styles. Walt: As you talk about pottery, sculpture and as I look around your office, I have to ask: is this construction, or is it art? Chang: Art. This is art. When I design a space, I really think about the shapes. It should be nice and perfectly shaped, but natural. I know how to “follow my eye.” When I do the landscaping, I think about lines and shapes, and colors, and heights, and relationships. When I design a space, I see everything in relationship to something else. Big things affect little things, and little things affect big things. You have to design a space to fill many needs and many conditions. The people are moving, children are growing, the weather changes—all have an effect on what you need to do to make that space the best it can be. Even when there is nothing there, it’s still design. Artists talk about designing the empty space. The usable part of the house—the part you actually live in—is the empty space. The technical stuff about the materials is easy to learn. There are product brochures and manuals you can study. But what I’m doing with them is drawing, sculpting, imagining and creating something that doesn’t exist. Running a business is also an art—it’s about imagination and creation. I never think about a business plan as flat description on a piece of paper. In my mind, I visualize the relationship between the companies, the staff, the products, the customers. I see it the same way I see designing. The company is like the sun, the products, the people are all like planets around the sun, everything is moving, everything is affecting each other. Little things affect big things. You add just one flower, one plant to your apartment, and you can see the big difference. Because I did ceramic sculpture, I realize that containers are an important part of the experience. I know what containers people like to eat from. Your home is just another container, but for your life. Your comfort is the experience. I am like a sculptor who can make everyday life in your home like a fine dining experience! ANNOUNCEMENT! Walt’s Saipan Writers Passion to Profit Workshop will take place on Sunday, September 27th from 1:00pm to 4:00pm at the Northern Marianas Trades Institute in Lower Base. Visit www.saipantext.com for details.